A brilliantly designed piece of firepower is a work of art to me. A most distinguished weaponry mastermind. Strong, silent, and likes his action fast and furious. Easily eats up every type of ground, no matter how rough. 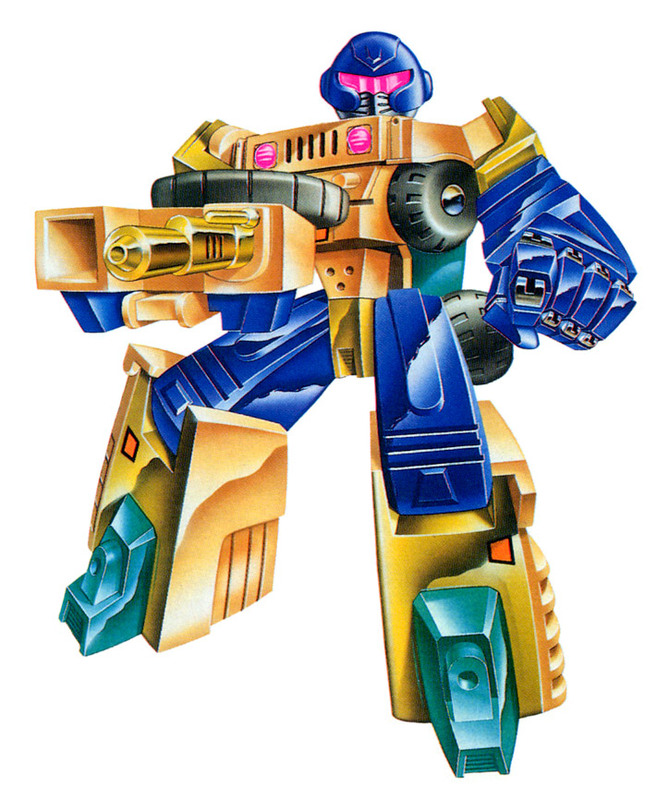 As a vehicle, attacks with recoil-action, visible tracer missile launcher. In robot form this provides cover as a free-standing launcher weapon.